Dark Horse and Berger Books are pleased to announce the next series in the critically-acclaimed imprint, Olivia Twist, a female-centric futuristic fable. 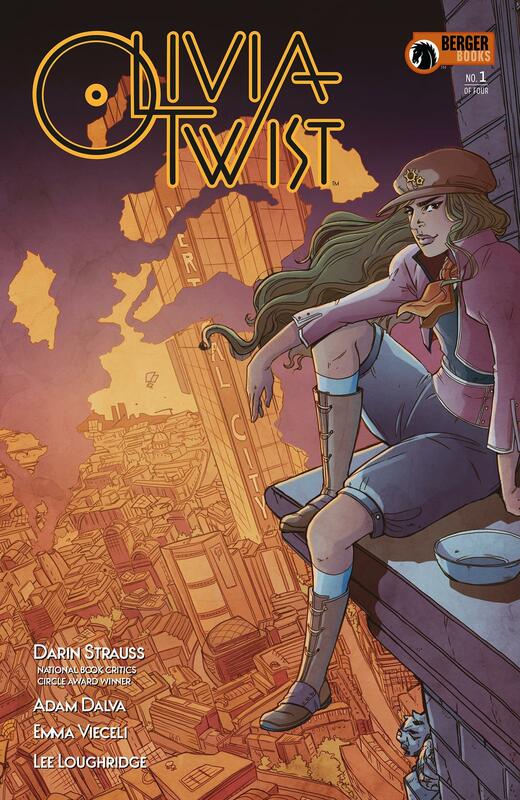 Olivia Twist marks the first time internationally-bestselling novelist Darin Strauss (Chang and Eng, More Than It Hurts You) will venture into the comics medium. Winner of the National Book Critics Circle Award for his memoir Half a Life, he’s joined by short fiction author Adam Dalva (Tin House, Guernica) as cowriter. Artist Emma Vieceli (Vampire Academy, The Adventures of Supergirl), colorist Lee Loughridge (Briggs Land), and letterer Sal Cipriano (Hellblazer, Mata Hari) bring the series to illustrated life. Top women comics artists, Vanesa Del Rey, Tula Lotay, Sana Takeda, and Emma Vieceli, create the gorgeous cover art for this reimagining of the classic character. Olivia’s life of newfound friendships in this world of internment camps and dark technology gets even more complicated when she discovers that she has more power and wealth than she’s ever dreamed of. But it comes at an unfathomable cost.